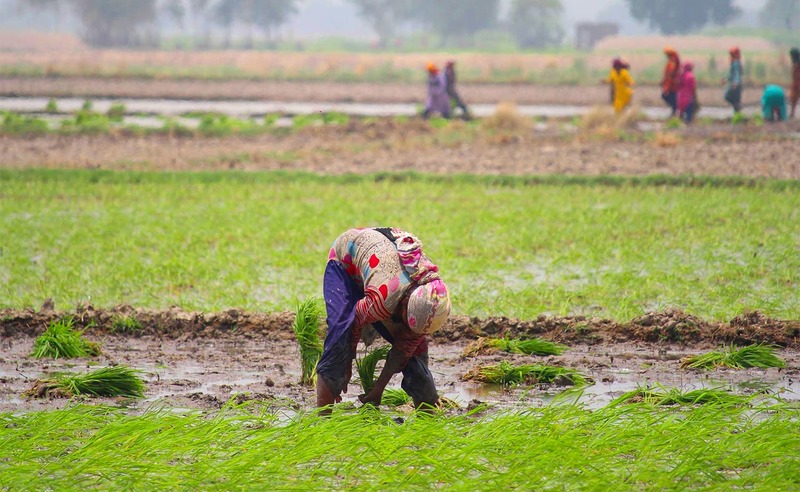 Meet the women who labour on farms for our plates of rice. It’s a sweltering June day in Muridke in Sheikhupura district in Punjab. The harsh summer sun glints off of the rice paddies which cover thousands of acres in this area. Some of the world’s finest Basmati rice is grown here. Dotting these paddies are the colourful figures of hundreds of women bent over the sodden earth, manually planting each seedling. Razia Bibi and her daughters wade through the pesticide filled muddy sludge, which fills the field. They hold bunches of seedlings in one hand and use the other to swiftly place each plant into the earth at a specific distance. Doing this work for every summer of their lives has made their movements almost mechanical and working in large groups, they manage to transplant rice over large swathes of land each day. But, the land they work on is not theirs, neither is the rice they grow. The working conditions are harsh; the water that fills the fields is full of leeches and corrosive chemicals. Each day someone in the group collapses from the heat. The wages are abysmal. But, Razia is a widow with six children, two of whom have polio. So in a place like Muridke, her options are limited. 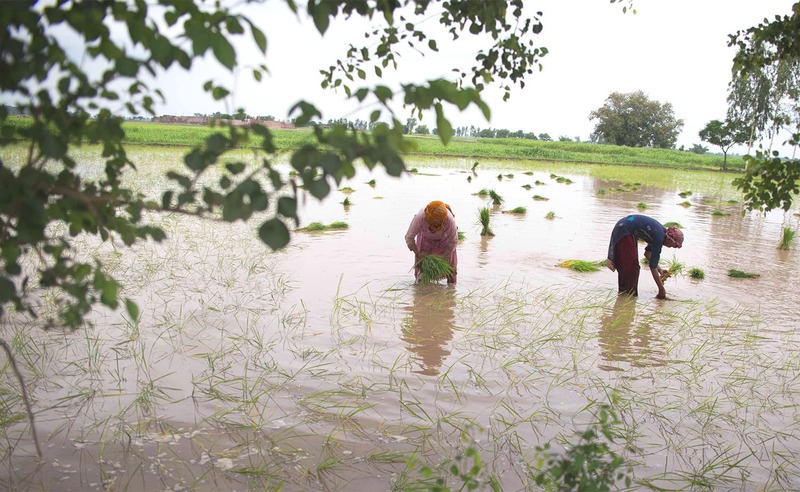 Women work in harsh conditions, for minimum wages in rice fields across Punjab. — Photos by Ahsan Mahmood. Like most industrial cities along this stretch of the G.T Road, Muridke is chaotic, polluted and deeply unequal. Capitalist development has come here in bits and has left most behind in its wake. The nouveau riche drive expensive cars on perpetually dug up roads and the forlorn faces of the poor stare from the back of Qingqi rickshaws. Small and medium industrial units are ever multiplying but never have enough electricity. Local clothing brands have arrived in hordes. There is even a McDonald’s. But, basic civic amenities are missing, as are educational and employment opportunities. In the urban areas most women work in the informal sector as domestic workers, whereas in the rural areas they are employed in agricultural labour. In most farms, makeshift cots hang from trees where babies of the women working in the fields sleep. Toddlers splash around in the polluted water in the rice paddies and as soon as they are old enough to use their hands they are expected to join their family in agricultural labour. Within the rice value-chain, women’s main role is during the transplantation of rice from nurseries, which takes place for around 45 days once a year. Explanations of why this task is reserved almost exclusively for women vary. The women rice workers argue transplantation of rice is too arduous a task for men to perform. Others such as landowners claim women are able to stay bent for longer periods of time. In the past, women were also involved in the harvesting of rice and would collect the grains. However, now most farmers use mechanical harvesters, which has also taken away these women’s chance of collecting some grains to take home. The men on the rice farms lead relatively simpler lives as compared to the women. Shagufta is sixteen. She was eight when she was forced to leave school and join the rest of her family in agricultural labour. “My mother said she could no longer make ends meet so it was time I contributed to the family income,” she says. She misses school. “I used to hate the teacher, he would beat us. But, now I wish I could turn back time. I wish I could throw on a starched white uniform, go to school and study hard. I even miss the beatings,” she says with a wistful smile. For a whole day's work, Shagufta says she makes around 100 Rupees, none of which she gets to keep. “If I have done the work, I should get to keep the money, but that’s not how it works does it? I give every penny to my family because if I don’t, nobody gets to eat,” she says. 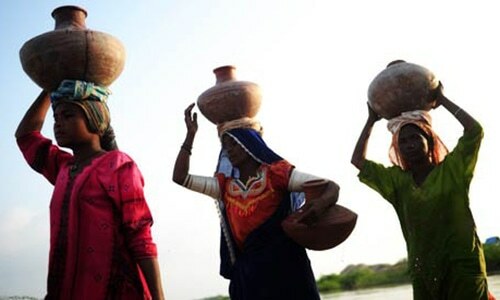 Women’s work in the transplantation process is part of the package of services offered by a group or a family on a single acre of rice for which they are paid between Rs2500 and Rs3000 and the individuals within the group are not separately compensated. Despite their back-breaking work in the fields, women often have to take out loans for medical expenses and electricity bills aside from farming essentials. Shamshad Bibi is a rice grower. Landless farmers like her lease the land from landowners on which they grow crops to sell to a middleman, locally referred to as an Aarti. She explains how the high cost of inputs, coupled with the expenses of the families, which almost always exceeds their income, puts them in an exploitative relationship with the Aarti. “The Aarti is the only person who will lend to us. We borrow money for pesticides, fertilisers, electricity bills and also for weddings and medical emergencies,” she says. “When the crop is ready, we take the harvested rice to the Aarti who is supposed to pay for grain, but since most people have already borrowed so much, hardly any cash is given,” Shamshad explains. “When you’re illiterate you can’t even argue with the math,” she adds. Fatima Bibi, another rice grower, says she faces abuse and insult from whoever she asks for money, whether it is a loan or payment of wages. “I’ve even been beaten for asking. Where someone had borrowed Rs1000 they insist it was 2000 and you can’t argue back,” she says. Being poor means these women also have no social or legal protections against sexual exploitation and harassment. “The boys of landowners say lewd things to us. They throw water on the girls and try to grab us any chance they get,” Shagufta says. Her aunt Zubaida says this is very common, no one says anything. “We are too poor to take these people on,” she says. A large portion of the income earned by these families goes towards medical expenses. The arduous labour is taxing on the body. Fumes rise from the polluted water filling the fields and affecting the lungs. Almost all those who work in rice paddies suffer from Foot Immersion disease, a condition so common in rice workers it is called ‘paddy-foot’, where the skin on their feet and hands begins to decay and blister, leading to sores breaking out. Constant immersion in hot water also causes the nails to become infected and come off. The paddies are full of snakes and leeches, and bending down for hours at a stretch leaves many permanently handicapped. Shehnaz Bibi says she was a little girl when her mother passed away and her grandparents put her to work in the fields. She continued to transplant rice for the rest of her life, until the age of around 65 when she suffered a herniated disk. “I was bending down to transplant the seedlings one day and when I tried to get up, I couldn’t. Since then, I have suffered from severe back pain,” she narrates. There are no free medical services in these villages and travelling to the nearest government hospitals is an added expense. Fatima Bibi says the hospitals are so overcrowded, the staff treats poor people like her very badly. “If you have money you can go to see a private doctor, otherwise you can suffer at home and even die. No one cares,” Shehnaz Bibi states indignantly. 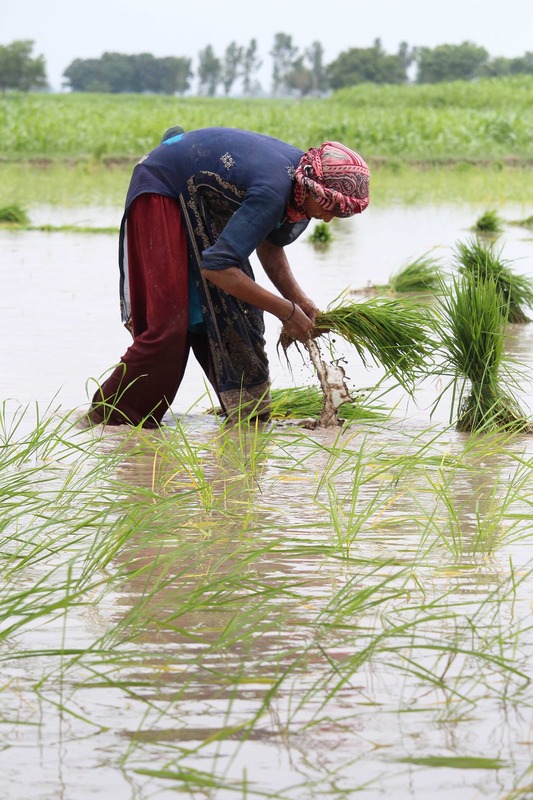 A number of these issues plague rice farmers across Asia. International NGO Oxfam is working towards promoting sustainable supply chains for agricultural products within which women are adequately compensated. The country director for Oxfam in Pakistan Mohammad Qazilbash told Dawn that agribusiness companies have a role to play in improving the conditions of rice workers. 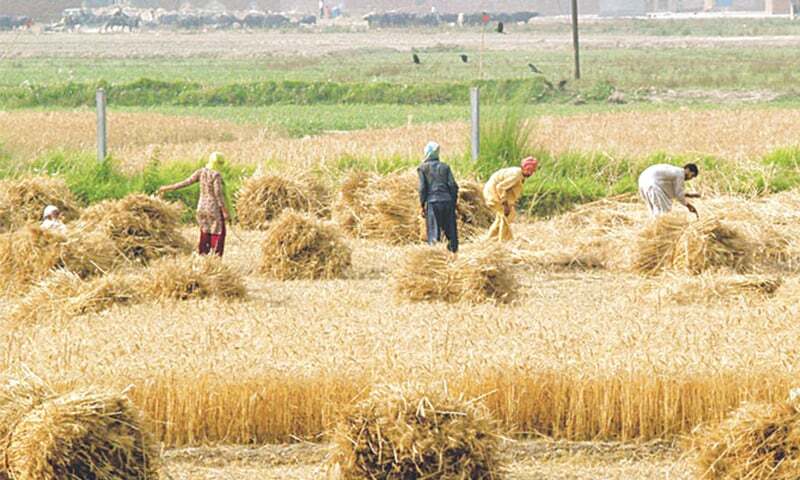 “Oxfam is working with MATCO, Pakistan’s largest rice exporter and other agribusiness companies to promote corporate social responsibility and other private sector regulatory frameworks to ensure better conditions for rice workers,” he said. Women rice farmers spend the day immersed in hot water, carrying infectious diseases apart from leeches and snakes. The writer is a development professional and a former member of staff. She tweets at @shiza__malik. Sexual harassment is very common in these situations.The owners of land consider them as cheap things.There are also good people.It is wrong to say that men do light job as compared to women.We also grow rice but only men do the job in the fields mostly and women either bake the food or prepare the seedlings to grow them in field.At the end i will say that Poor people always face bad environment everywhere.You can not change the thinking of Zameendar Tabka.Some treat them as slaves. Thank you for this eye opening article. 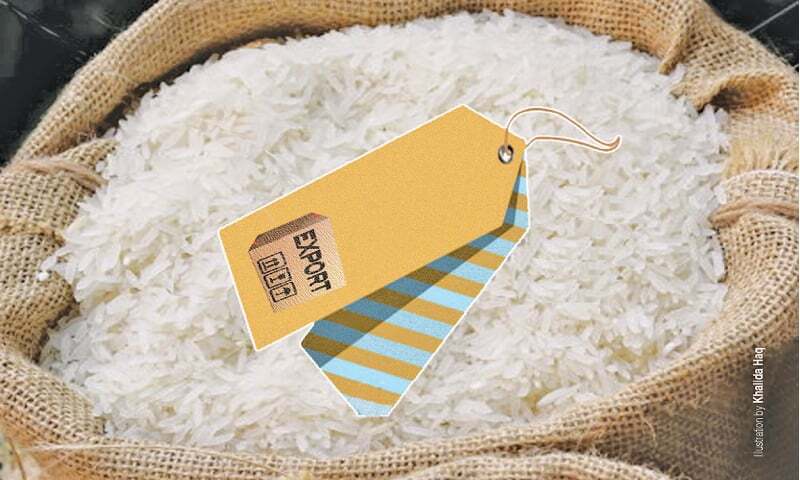 I never thought about the labor that goes into producing a fine bag of basmati. Lack of opportunities leads one to do anything to survive while the landed and loaded continue their merry way. They are not even properly attired for this work. In Southeast Asia rice farmers wear water proof boots and large hats. Perhaps the government should look into their plight. But they still vote PML-N...not my fault! Very heart touching and thoroughly researched article. Every sector in our country needs immediate steps to protect people of working class from exploitation by Richies.